Start your 2019 golf season with Fox Harb’r Resort’s Spring Stay & Play Special. 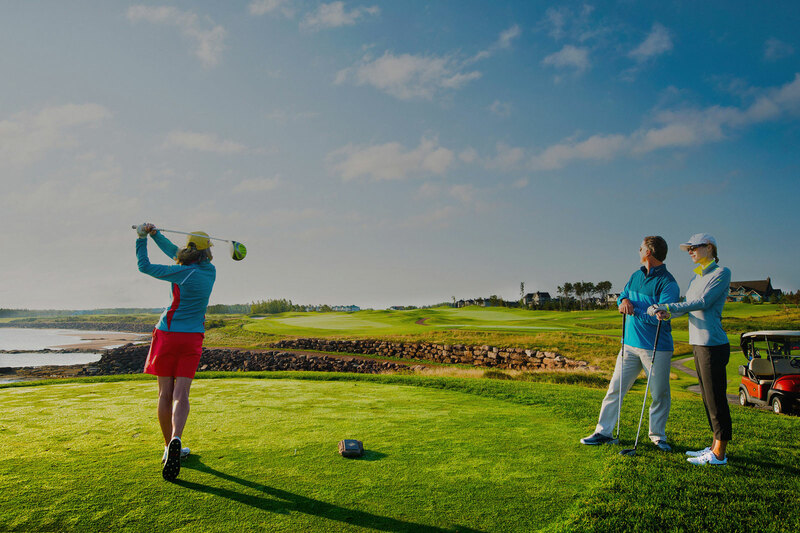 This popular Nova Scotia golf getaway starts with Fox Harb’r Resort’s Graham Cooke designed championship golf course, a stunning combination of both parkland and true links style play named a “Best Golf Resort in Canada” by Golf Digest. Our spring Nova Scotia golf package includes two 18-hole rounds, two days of access to our 9-hole executive course, and to the Fox Harb’r Golf Learning Academy practice facility. It’s an ideal golfers’ combination for refreshing your skills and short game after the winter. Following a great first round of golf, unwind in luxurious all-suite accommodations. Then fuel up for more play with our gourmet breakfast. *Rates vary based on date, accommodation type and occupancy. **Two rounds of golf are bookable prior to arrival. *Offer is subject to availability and based on double occupancy. Not valid in conjunction with other offers. Not applicable to groups. Some black-out dates may apply. Rates are subject to change.